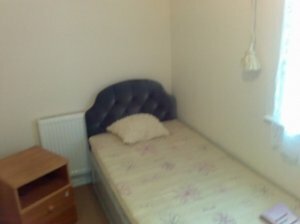 Double Room available in 91 Sandon Road, Basildon, Essex.It Has A Full Kitchen And Bathroom With An Extra Toilet Downstairs. The Rooms Are Furnished With A Bed, Tv, Wardrobe And Draws. All Bills Are Included. No Children Or Pets. Every Nationality Welcome. Prefer Single People But Couples Are Welcome. For more information or to Book A Viewing Schedule Kindly Contact Terry.